A trip to Japan is a trip like no other. Here, the traditional mingles with the ultra-modern in an eye-catching medley of culture. You can find massive cities, untouched wilderness, and some of (if not the) best food in the world. We’ll cover where to go in Japan, what to see, and how much it will cost so you can start planning for a truly once in a lifetime experience. Transportation in Japan is renowned worldwide for its efficiency, speed, and modernity. Rail traffic is comprehensive, comfortable, and popular (both inside cities and across the country), with more high speed options than anywhere else in the world. It’s definitely worth investing in a rail pass if you plan on doing a lot of traveling. Flying is also another, slightly more expensive option. Of course, traveling by car is possible (remember that Japan drives on the left side), however tolls make it relatively expensive. The same can be said for most transportation options (thanks to high taxes and fees), however you can save if you plan ahead (e.g. the rail pass). If you plan on taking a taxi, it can help to write your destination in Japanese on paper since the driver might not understand English. Spring and fall are often the best times to visit weather-wise, however you can make the trip anytime of year. Arriving in mid-April is especially pleasant, thanks to the abundance of cherry blossoms. Winter is usually moderately chilly and grey (though above freezing), however some regions do get quite cold and snowy. Be sure to book in advance as popular vacation times often see hotels, flights, trains, etc get fully booked. As one of the world’s largest and most exciting cities, it’s hard to put everything Tokyo offers into a few sentences. Is it food you want? Tokyo has more Michelin star restaurants than anywhere else on earth. History buff? Mixed in amongst the ultra-modern skyscrapers are traditional gardens and temples of all sorts. Simply wandering amongst the neon lights of the futuristic cityscape is an experience you can’t find in the Western world. We could go on and on, but just know that Tokyo is one of the world’s great cities, and requires an extended stay to even come close to seeing a fraction of what it has to offer. 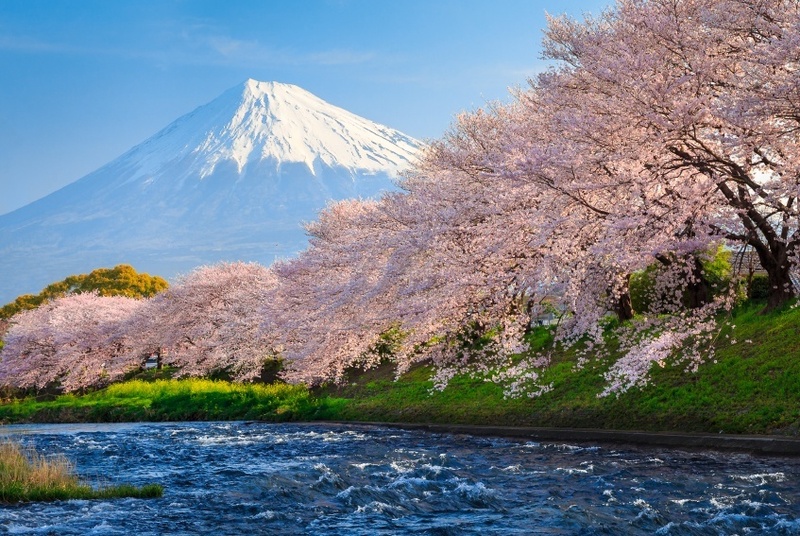 The most iconic mountain in the country, and one of the most recognizable in the world, Mt Fuji provides an entirely different experience only a stone’s throw from the hustle and bustle of Tokyo. The entire region is brimming with history and natural splendor, but the sight of this massive volcano stretching into the clouds takes the cake. The climb isn’t too difficult (relatively speaking), so with ample preparation and supplies, you too can stand at the roof of Japan and gaze down at the country below. As the imperial capital of Japan for near on 1000 years, you might expect the city of Kyoto to be an ideal place to lose yourself in the history of the land. And you’d be right. Buddhist temples (allegedly 1000 of them), shrines, geishas, gardens – this is classical Japan at its best. The modernity that you’d expect in other cities isn’t as present here, and that helps transport you back to another time. That being said, there’s also quite a lot of great food here from Japan and abroad. It may not have quite the imperial pedigree of Kyoto (it was capital for less than 100 years), but Nara still provides an intriguing glimpse into the history of Japan – with some Chinese influences on top. The mix of Chinese architecture and Japanese traditions can still be felt as you wander amongst the streets and temples of the city. With recent rejuvenation in the face of natural disasters, there’s a more modern side to Nara than Kyoto, but it remains, first and foremost, a historical visit. The name Hiroshima will forever be inextricably linked with the atomic bomb. As the first city in history to suffer the devastating power of the weapon, there remains an ever-present air of melancholy and remembrance over the city. It’s certainly worth a visit, with the Memorial Park in particular a poignant reminder of the event. That being said, the streets and sights of the rest of the city are actually quite pleasant and cheerful, with a laid-back vibe that serves as a good counterpoint to the events of the past century. 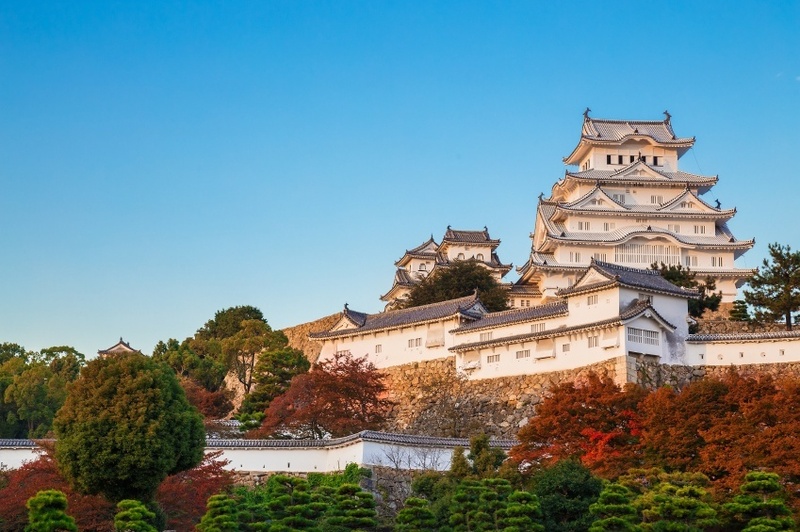 The city of Himeji makes it on this list largely due to the presence of a single site – Himeji Castle. Despite bombings during World War II and natural disasters, this massive complex has remained intact over the centuries. It is commonly considered the best surviving example of Japanese castle architecture. Up close, the network of 83 buildings is absolutely staggering in size and has to be seen to be believed. The rest of the area is home to some nice, quiet gardens, but don’t expect a very energetic atmosphere here. This southerly prefecture (region) of Japan is made up of hundreds of islands that stretch on far below the four home islands. One of the main draws of Okinawa is the tropical climate with clear water, great beaches, jungles, and laid-back coastal retreats – not unlike Hawaii. A unique island culture sets the region apart from the rest of Japan while the somber history of one of World War II’s most intense battles ties it together. A visit to Okinawa will be a beautiful side trip, and is perfect for the vacationer who just wants to take a bit of time to relax and enjoy the ideal climate. This large northern island offers a peek into a different side of Japan, namely one a little more removed from civilization. The mountains, fields, snow, and altogether slightly more rugged nature of this island make a trip here ideal for those who want to experience the great outdoors of Japan. You can find an abundance of hot springs, hiking, national parks, and skiing here – ensuring there’s something for everyone. It’s not all remote destinations, with the city of Sapporo (where the beer of the same name comes from) serving as an excellent urban gateway to the rest of the island. Covering the northern portion of Honshu (the country’s largest island), this region is one of the most beautiful and dramatic parts of Japan. Hot springs, volcanic activity, and more are staples of Tōhoku, while the many pristine landscapes are sure to capture the imagination. You can also find many festivals and celebrations that will educate you on traditional Japanese customs. Of course, the recent Fukushima nuclear disaster means that large parts of the landscape were devastated, and are slowly recovering. Still, there’s a lot of untouched beauty to be found. 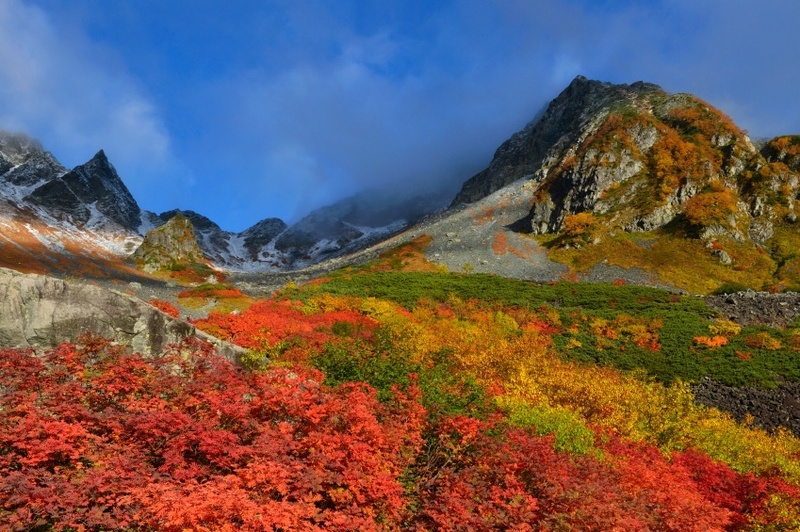 Other regions in Japan might offer an abundance of natural beauty and outdoor thrills, but the Japanese Alps take the cake. The highlands are home to some of the country’s best hiking, skiing, and more. In addition, the cities and towns that dot the landscape each bring their own unique vibe to the table as well. Nagano of course hosted the 1998 Winter Olympics, Kanazawa is home to many examples of traditional Japanese culture, Matsumoto features a fantastically preserved castle, while Nagoya is one of the country’s largest and most technically advanced cities. Round trip flights between Pearson and Tokyo are surprisingly cheap compared to other nearby destinations. That’s not to say spare change will get the job done, with the average price about $900 Canadian. That being said, prices can fluctuate dramatically and you could be stuck paying a couple thousand depending on when you fly and what airline you choose. As always, shop around to find the best possible deal and time. 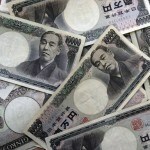 Once you arrive in Japan, expect an average day’s expense to run about $143 with $67 for accommodation and $33 for food. A thrifty traveler could probably get by with closer to $58 per day while the higher end of travel could run you about $348 per day. 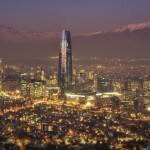 Prices will fluctuate depending on things such as food and transportation, but there are definitely more affordable options out there if you look. Japan is a relatively safe country, and there is no nationwide advisory according to the Canadian Government. However, there remains a regional advisory for zones surrounding the Fukushima nuclear power plant – with travel not recommended to the designated areas HERE. Beyond this, the crime rate is pretty low against visitors, however petty crime does happen in busy areas. In addition, travelers should beware of inappropriate touching on crowded public transportation as well as drink spiking in entertainment districts and nightclubs. Auto travel can be a challenge thanks to narrow roads and left-hand driving, while mountainous regions are sometimes impassable in winter. These are just a few examples of where to go in Japan, there’s tons more to see and do. If you think somewhere else should be on the list, let us know in the comments. 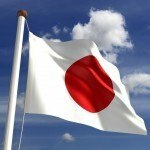 Check out our Country of the Week for more general information about Japanese history and culture.